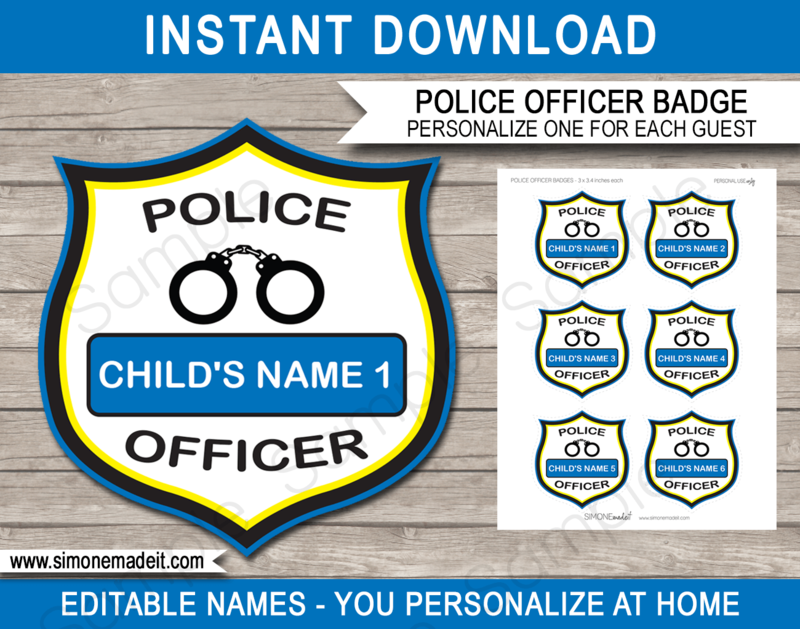 Instantly download Police Officer Badges for your Police Birthday Party! Personalize this template with each child’s name yourself. Just open the file in Adobe Reader and type in each child’s name over my sample text. Change the guest names and reprint the Police Officer Badges as many times as you like. Download links will be sent directly to your inbox. Download your Police Officer Badges template immediately after your payment has been processed. Note that you cannot edit the POLICE OFFICER text on these badges, you can only type in a child’s name on each one. Trim out your Police Officer Badges on the provided cut lines. Attach a safety pin to the backside with hot glue or tape, laminating first if preferred. You can also attach to the front of a Policeman’s Hat, or use as Favor Tags. Very cute and easy to change the message. Got for a last minute party and it was a cute addition. This package added so many cute little touches for our camping themed birthday party. So cute and couldn’t be easier to download, edit, and print. Thank you! 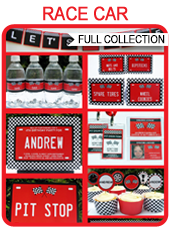 I have purchased several of these printable packages for different occasions! I love them and so do all of my guests!